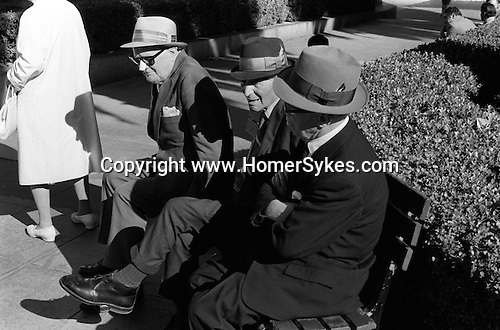 Three elderly men enjoy the sun on a bench in San Francisco California USA. 1969. Man wearing nose guard protects against the sun.